Testing web based CMS applications has been an unique service offering at OdiTek. We offer specialized CRM testing services that help reduce costs and time-to-test through managed and automated testing services. Our CRM testing approach consists of a modular framework and pre-built test assets. CRM systems are increasingly becoming strategic assets for organizations, helping them manage the entire customer life-cycle, streamline operations and improve customer satisfaction. According to Gartner, CRM implementation failure rates exceed 50% due to lack of effective CRM strategy and user adoption. Ensuring a successful CRM implementation requires focus on business objective, robust business processes and a focus on the Quality of implementation. OdiTek’s Verification and Validation Testing Centre of Excellence helps achieve greater quality and better ROI, using a combination of our testing experience, CRM testing framework and accelerators. Our focused CRM testing services reduce costs and time-to-test through managed and automated testing services. We have invested heavily in building our CRM testing practice and knowledge base across multiple verticals & horizontals. OdiTek’s CRM test accelerator aligns with the Business Process Testing (BPT) approach, which is extensively used to test CRM applications. With our deep domain knowledge across multiple industries along with 5+ years of experience in testing, we bring specialized testing framework for Oracle Siebel applications, Microsoft Dynamics and SAP CRM. OdiTek’s CRM testing approach consists of a modular framework and pre-built test assets. Our CRM test accelerator is a vast repository of pre-built test cases, use cases, and business scenarios. All the knowledge captured in the form of test assets saves total cost, time and efforts of testing. The pre-designed test assets are automated and reused in multiple business process tests. Our dedicated web CMS testing team has adequate experience in understanding concept of Metadata, XML, RSS Feeds, Templates, Workflow, CSS & Styles, Publishing Content, and Security Hierarchy Enforcements and Customizations. 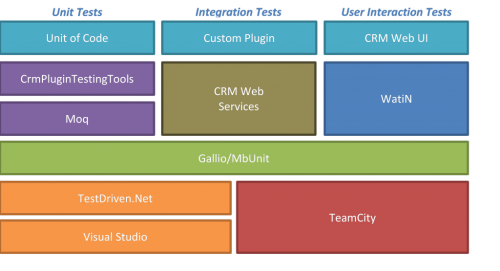 Our test engineers work as the front end and backend testing of BI(Business Intelligence) layered CMS. We prepare checklists and test cases for each section and it goes through constant review and modification. Our QA engineers have worked on variety of web CMS products and have cross domain expertise.